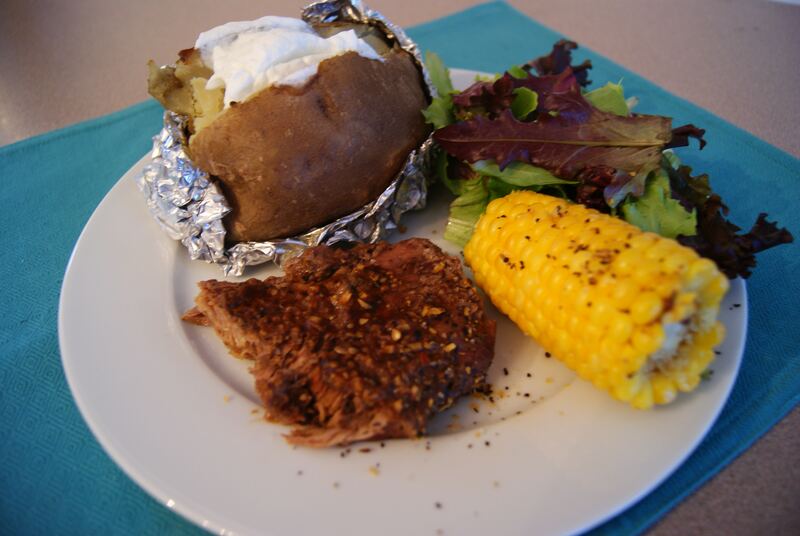 You are here: Home / Uncategorized / 5 minute steak dinner on a WEDNESDAY! 5 minute steak dinner on a WEDNESDAY! Yeah baby, that’s right. We had a full on steak dinner in the middle of the week! It actually took less than 5 minutes. I just dumped all ingredients in the crockpot this morning. I had them all ready from my cooking hour earlier in the week. This is what it looked like while cooking…. Here she is. Isn’t she beautiful? 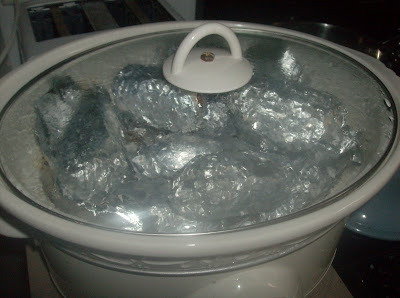 I got this idea from a great blog Crockpot365! « Steak dinner in the middle of the week!